Buy 10+ for £28.95 each. This is a humidity sensor module based on a Honeywell HIH-4031 humidity sensor interfaced to the 1-Wire bus with a Maxim DS2438Z IC. 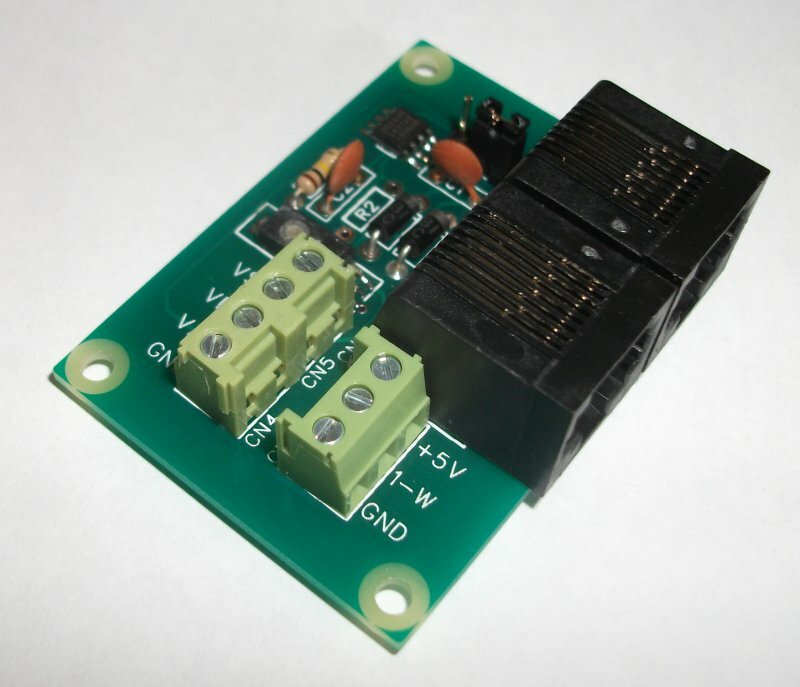 After several customer requests this module is now designed with 4 extra screw terminals connected directly to pins on the DS2438Z allowing you to use it as a general purpose 0-10V DC ADC. 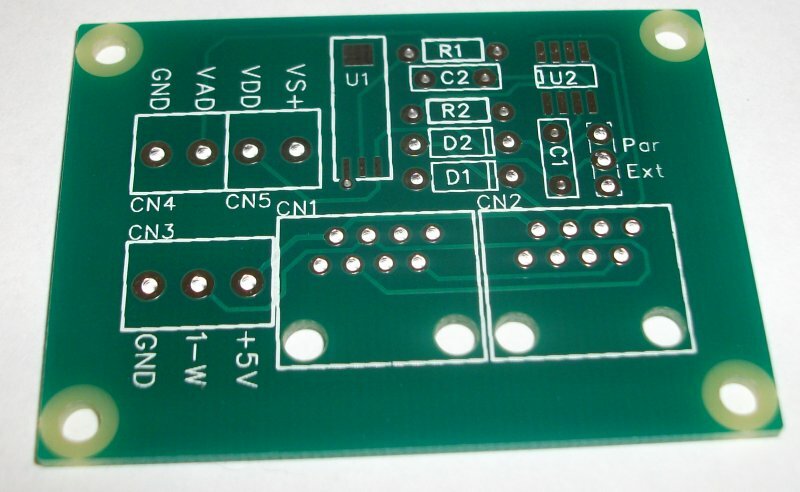 The assembled module and kit are now available omitting the HIH-4031 sensor and resistor R1 if you wish to use the module as such.